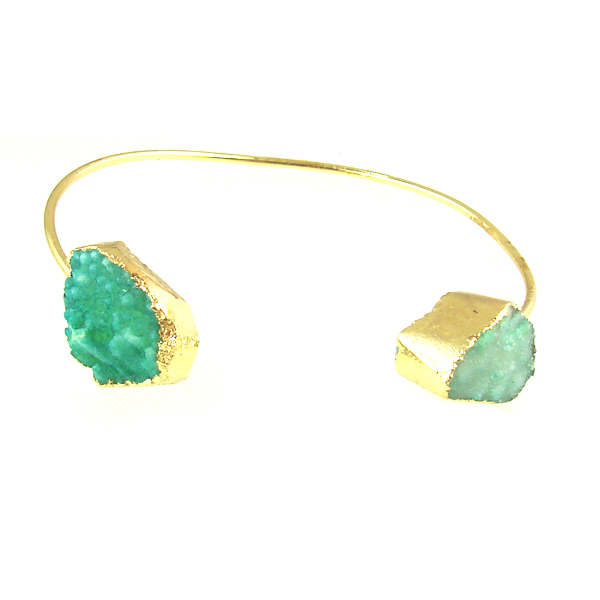 Gold plated bangle with dyed green drusy on the ends. Adjustable. Price per piece. SKU: br-g114. Categories: Finished Items, GP Agate Bangle.